Running a BBS for nearly 23 years (most of that in the Internet age) has me wondering if BBSes can survive going d own the road? With social media (Facebook, Twitter, etc.) being so rampant – why even bother? But it seems that BBSes can co-exist with social media. 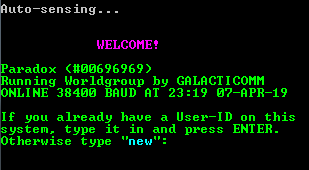 For example, there are a number of BBS related pages and groups on Facebook. As part of the redesign of this site, I decided to start one as well. Feel free to visit our new page on Facebook. I will be posting news and events there as well as here moving forward.